The random number generator has determined that my second gaming post will be about Paper Mario: Sticker Star for the Nintendo 3DS. I grew up on Paper Mario 64 and Paper Mario and the Thousand Year Door, so when I heard that there would be a Paper Mario game for the 3DS, I was pretty excited about it. Then I heard that the formula of the game was different from what I consider to be classic Paper Mario, so I didn’t pick this game up until later when I was on a family road trip to Maine. Like the classic Paper Mario games, the combat is turn based and includes action elements so that someone who is paying attention will do better than someone who is not. 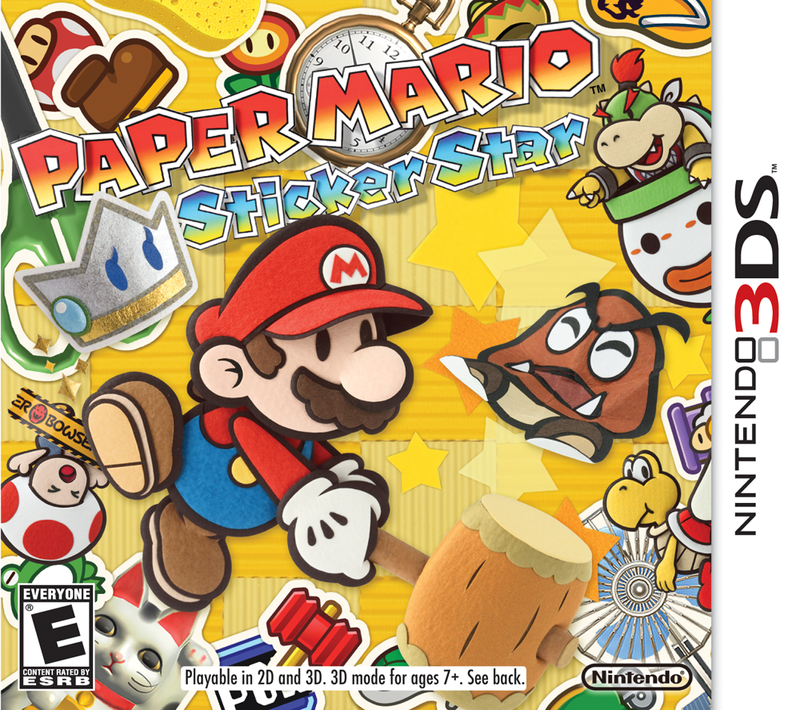 The main difference between this and classic Paper Mario is that in Paper Mario: Sticker Star, Mario doesn’t level up, but rather accumulates money, stickers and sticker book pages to hold more stickers. Stickers are used up by attacking. For instance, in order to use the jump attack, you need to use up a jump sticker. Luckily, there are an infinite number of stickers hidden in the overworld, so there are no instances in which it’s impossible for a save file to be beaten. 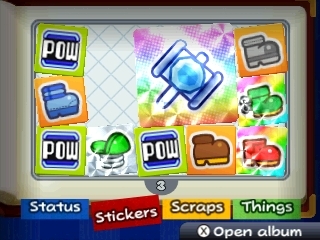 Powerful stickers can be created from objects, and the objects respawn in the locations where they were first found after their stickers have been used. Some of the stickers are shiny, and one thing I love about this game is that the gyroscope in the 3DS was used to give the illusion that shiny stickers on the bottom screen really reflect light. Nintendo didn’t have to include that feature for the game to be good, but they added it just because they are Nintendo. Most people might not even notice that it’s there, but for those who do, they get a glimpse at how awesome Nintendo games can be. 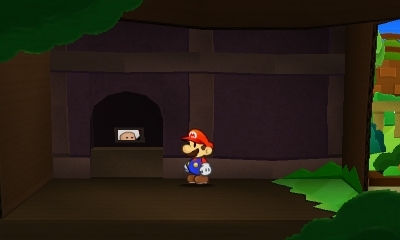 I consider Paper Mario to be a comedic series. 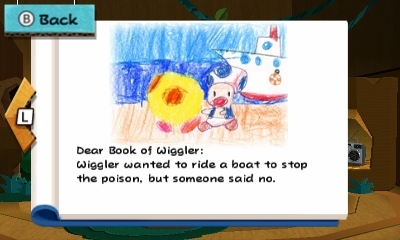 Defined that way, Sticker Star could be considered the best Paper Mario game. In this installment, most of the comedy comes from the antics of the toads. You want the stuff? Toad can hook you up. 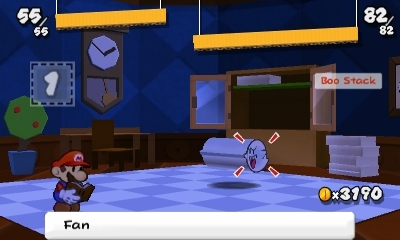 I’m looking forward to the next Paper Mario game, whenever that happens to be. It’s just possible that the next one will be for the Wii U. And so, I will consult the random number generator yet again to determine the subject of my next gaming post.